To make the most money, you'll need to advertise the sale, strategically display your merchandise and more. For those who’ve never held a sale before — or at least not a successful one — here are a few tips for making it worth your while. Schedule strategically. First, check your local government website to learn if you need a permit. Then, pick a date. 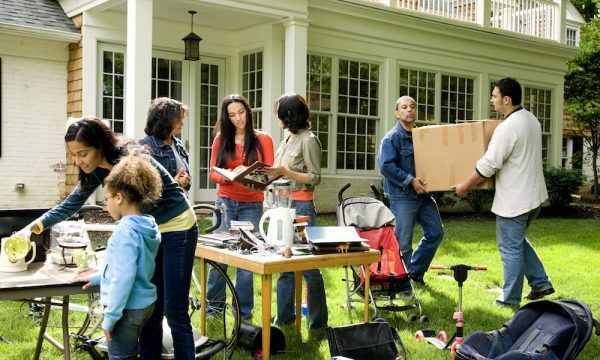 Spring and summer are typically the most popular times for yard and garage sales. Fall can also be fruitful, because shoppers are searching for Christmas gifts, says Chris Heiska, who runs the yard sale website yardsalequeen.com. Saturday morning through early afternoon sales are crowd-pleasers. Bargain hunters tend to arrive early, so Heiska recommends setting up about half an hour to an hour before your designated start time. In most cases, it’s best to skip weekdays, evenings and holidays when foot traffic is light. Weather can deter visitors, too. Check the forecast so that you don’t accidentally schedule a sale during a downpour. Advertise. What good is a yard sale if nobody shows up? Advertising is perhaps the most important way to make it thrive, Heiska says. Your recipe for success: Mix equal parts old-fashioned and modern methods. Post signs throughout the neighborhood. They should be sturdy and easy to read from a distance. Make sure your ads include key sale information, such as the date, time and location. Start advertising at least a few days in advance. Curate your collection. Yard sales with various objects attract more customers than ones with a single category, like books or baby clothes, Heiska says. However, there are exceptions. “If you live in a neighborhood with all young families with small kids, having a kid yard sale with baby stuff could be really popular,” she says. Other tough sells include adult-size clothing, DVDs and anything damaged beyond repair. Your front lawn isn’t the best venue for expensive property like fine jewelry or high-end KitchenAid mixers, either. Not only do yard sale shoppers expect cheap prices, but your items also can get stolen. Heiska recommends selling valuables through online marketplaces and keeping cash on your person instead of in a box. Set fair prices. You won’t make out like a bandit charging nickels and dimes. At the same time, don’t expect anyone to pay $50 for your ratty old baseball cap and VHS collection. Heiska suggests pricing most objects at about a third or quarter of what they cost new. Or, hit up a few garage sales in your neighborhood in the weeks leading up to your own to get a feel for the going rates. Tidy up. Presentation and cleanliness are key. Place items on tables, rather than the ground, to spare customers’ aching backs. If you don’t have tables, improvise with boxes and boards. And if you’re selling clothes, pick a handful of pieces to neatly fold or hang up. “Seeing a mountain of clothing on a tarp, that’s kind of a turnoff,” Heiska says. “If you select a few items of clothing that may draw people in, it makes it look like your stuff is worth more and that you took the time to set it up nicely.” She adds that a visually appealing display provides leverage to price the items a bit higher. Think of your yard sale as “a little department store,” Heiska says. Create a furniture section, an electronics section and so on. Face movies, video games and books the same direction with the titles visible. As items sell, rearrange what’s left to make your tables look fuller. Another word to the wise: Eliminate anything stained, dusty or sticky. The last thing customers want is to leave a garage sale needing a shower. Make it inviting. Safety should be the top priority. Clear the vicinity of pedestrian tripping hazards like holes and extension cords. Once you’ve drawn in visitors, give them a reason to stick around and browse. Strike up a little conversation and consider playing some background music. Sell or donate your leftovers. Unless you have a killer collection of merchandise — or you’re an incredibly smooth talker — you’ll probably have items left unsold. Before chucking them in the trash, try selling them for a few bucks at local thrift stores or on marketplaces like Letgo and Craigslist. Don’t want to deal with another sale? You can also donate to a church, Goodwill or another charitable organization. Your donation may qualify for a tax deduction. 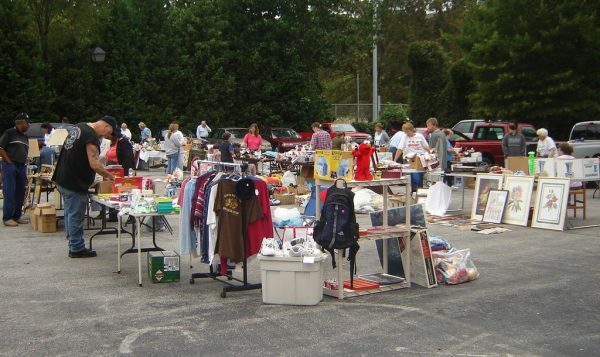 Keep these tips in mind whenever you hold a yard sale. You’ll probably pick up a few of your own over time, too.